Coming up with a smart pricing strategy is a tough task for many small businesses. For example, some business owners automatically assume that increasing prices puts the business at an automatic disadvantage. But that’s not necessary so – especially if you’ve established a clear pricing plan for your business. Small, strategically targeted price increases can actually give a company a competitive edge. The key is to bridge the disconnect between pricing and profit that plagues so many businesses, both large and small. Proper pricing is more complex that most of us realize. Most entrepreneurs approach pricing as a mix of markups, margins and matching the competition – with a modicum of gut feeling thrown in. But such an approach fails to account for the most important component of all: What customers are actually willing to pay. As a result of this disconnect, many businesses are missing out on profits every day. For any company seeking bottom line growth, smarter pricing can be the quickest path to better profits. New profits can start rolling in almost immediately after a change. 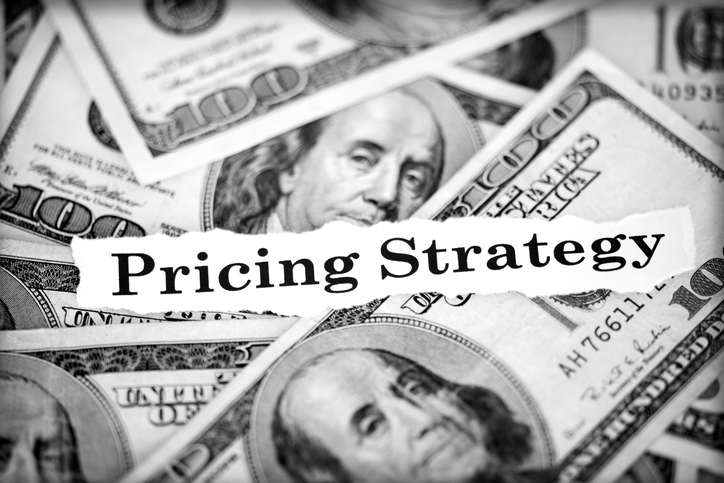 Optimizing your pricing, however, requires thinking more holistically about strategy. Most businesses can benefit by employing a variety of pricing tactics. And customers can benefit as well by gaining more choices. Instead of offering one take-it-or-leave-it price, offering a range of prices, versions and pricing plans can attract more customers, boost sales and improve overall profits. 1. Avoid the fixed markup mistake: Probably the most common pricing pitfall among small businesses is setting prices based purely on a set markup. Such “cost-plus” pricing schemes almost always forego potential profits because they never account for what customers are willing to pay, or for the particular value the product or service provides to a given customer. 2. Price for value: Take a lesson from street vendors who understand better than anyone the principle of value-based pricing. Umbrella prices go up the moment it starts raining. It has nothing to do with the cost of the goods, and everything to do with the value customers place on the product. 3. Know your value proposition: Create a “value statement” for all of your products and services. This is a simple declaration of why you are proud of what you sell, and why customers should buy it from you instead of someone else. It can help you understand perceived value in the eyes of the customer, so you aren’t basing prices only on the cost of the product, or on pricing history. 4. Let customers choose how much to pay: Many businesses boost profits by offering “good, better and best” type choices for a wide range of products and services. Think about creating different versions of what you offer at different price points. Such changes can attract potential or former customers who are interested in what you have but who’ve stayed away because the current pricing structure didn’t work for them. 5. Create a different offering for your most price-sensitive customers: For any given product or service, some customers are willing to pay more than others. Offer a spectrum of prices based on customer actions. For example, those who line up to be “first to own” (the hot new toy or tech gadget for example) are usually willing to pay a premium price. Those who drive an hour to shop at outlet malls aren’t. It’s a pricing jigsaw puzzle. Each new pricing tactic you create has the potential to add another customer segment to your mix. 6. Focus on profit, not margin: Many businesses equate “high margin” with pricing success. Sure, high margins are good and important. But a big margin on lower total sales doesn’t necessarily help. Consider high margins as an opportunity to snare more sales by deploying discount tactics as well. Profit is your goal, not just margin. 7. But don’t discount across-the-board: Discounting can be damaging if handled badly. Hold steady on prices to maintain current purchases, and then implement pricing tactics – such as discounts, lower versions or financing – to keep and attract new price-sensitive customers. Copyright © 2000-2016 BizBest® Media Corp. All Rights Reserved.